Once you’ve decided to sell your home, you will need to get it ready to sell. Learn the importance of finding the right real estate agent, staging your home and setting the right asking price. Learn how to determine if you should accept an offer and what happens after you accept that offer. Know what to expect on the day of closing. The following six steps will help you make informed decisions throughout the home selling process. Real estate agents are experts when it comes to real estate. Therefore, it is important that you find the right real estate agent when you decide to sell your home. Find a real estate agent who has a good reputation in the real estate industry. Your agent is going to be with you from the time you decide to sell your home until the closing, so you want someone who is going to represent you and negotiate in your favor to get you the best deal possible. Now is the time to make your home look its best. Staging your home is important because you want prospective buyers to feel at home when they walk in. You want them to be able to picture themselves living there. If your home looks nice, it will get buyers excited and make them want to buy. In addition to staging your home, you should also make any small repairs because buyers will often inspect the home to see if any repairs need to be made. It is best to make repairs when you notice they are needed at the time you decide to sell your home. The last thing you want is to have to make an overwhelming number of repairs requested by the buyer before closing. Your real estate agent will help you set the right asking price. They will provide you with comparable sales and other similar listings in your area to give you an idea of what your home will sell for. Sellers have many motivations when it comes to setting the asking price. Some people are motivated to sell and will price the home lower than other homes in the area. 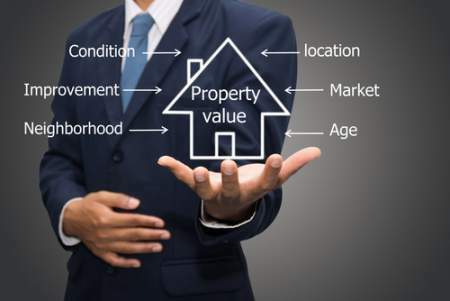 But, the goal is to extract the most value from your home. You don’t want to overprice your home because doing so will prolong the process. It is likely you’ll receive many offers for your home and all of those offers will likely be below your asking price. Don’t take the first offer you get if you feel it isn’t satisfactory. Your real estate agent will help you negotiate the offers you receive. Once you are confident that you have received the right offer, then it is time to accept the offer and inform the lucky buyers. Once you’ve accepted an offer on your home, the buyer will schedule an inspection. If the inspection goes well, the buyer will request an appraisal through the lender. If all goes well with the appraisal and no repairs are requested, then you need not do anything further at this time. If the home doesn’t appraise, then you will go back to the negotiating table. Once you pass this hurdle, you can begin packing and preparing for the closing. Closing most often takes place at the office of the entity holding the escrow. Typically, this is the title insurance company that insures the title to the property for the buyer. Although the buyer will be required to attend the closing to execute original loan documents, you, as the seller may or may not be required to attend. It is possible that you can pre-sign all the necessary documents. You may even grant your attorney power of attorney to sign the documents for you. Any proceeds you receive from the sale can be wired directly to your bank account. One advantage to not attending the closing is that you will be able to avoid potentially tense conversations with the buyer about immaterial defects causing them to seek credits that have not been required by the contract. Once the contract has been signed and the money has changed hands, the closing is considered complete. You no longer own the home. You are now free to focus on moving into your new home. Selling a home is not a small undertaking so once it’s over, give yourself a break. Take a breath and relax.